4 year old mare out of the great CAT ICHI (LTE $325,201, sire of performers earning over $5.5M) and out of SCRATCHIN (LTE $70,000). 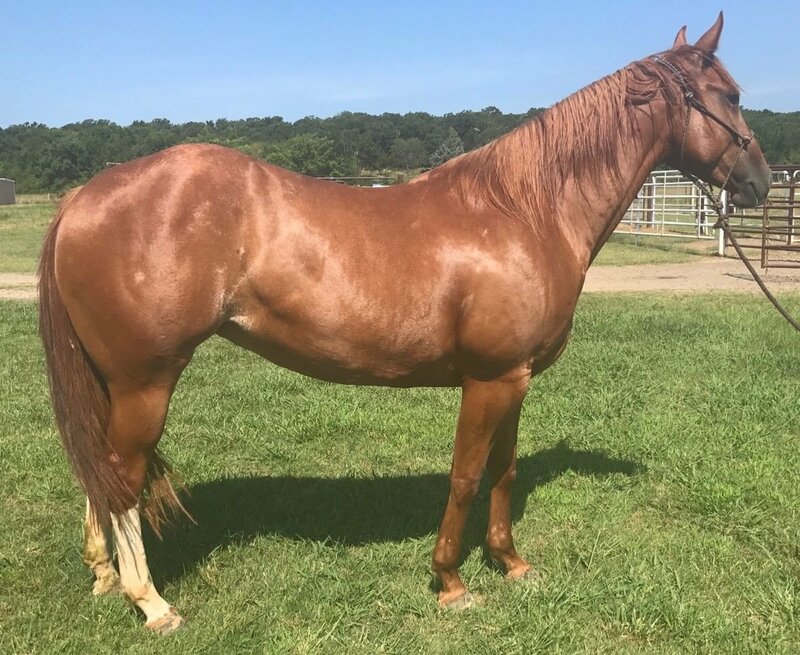 Big, stout, beautiful mare that was started as a cutter so she is exceptionally well broke. Is now started in calf roping and heading. She has been rode extensively at the sale barn and in the pasture. She will make the perfect all-around horse.